Tony, is a lifelong farm boy, who purchased his first 50 acres when he was 21 years old. He was attending the University of Guelph at the time where he graduated with a Diploma in Agriculture. A few years later he purchased his next farm, which is now our home. He began farming crops, hogs and running Willemse Bailing Inc, a bailing business, alongside his parents, Bernie & Tony Sr. This has kept him busy for over a decade. 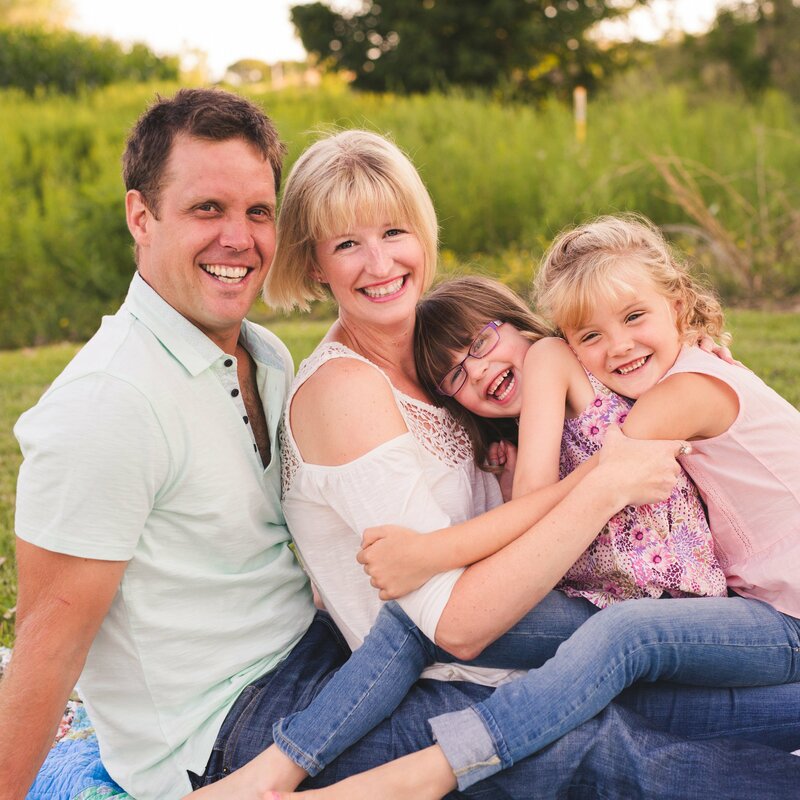 Tony and his young daughter, Hannah, met Mandy and her daughter, Lyla, and together our blended family was born. As a family we were ready to expand our farm so in August of 2015, we applied for the Artisanal Chicken Program and were approved by the Chicken Farmers of Ontario (CFO) . My passion for nutrition combined with Tony’s hard work and expertise on farm practices is how Little Sisters Chicken was born. Our name, Little Sisters Chicken, came from the love of our own little “chickens”, our daughters, Hannah & Lyla. 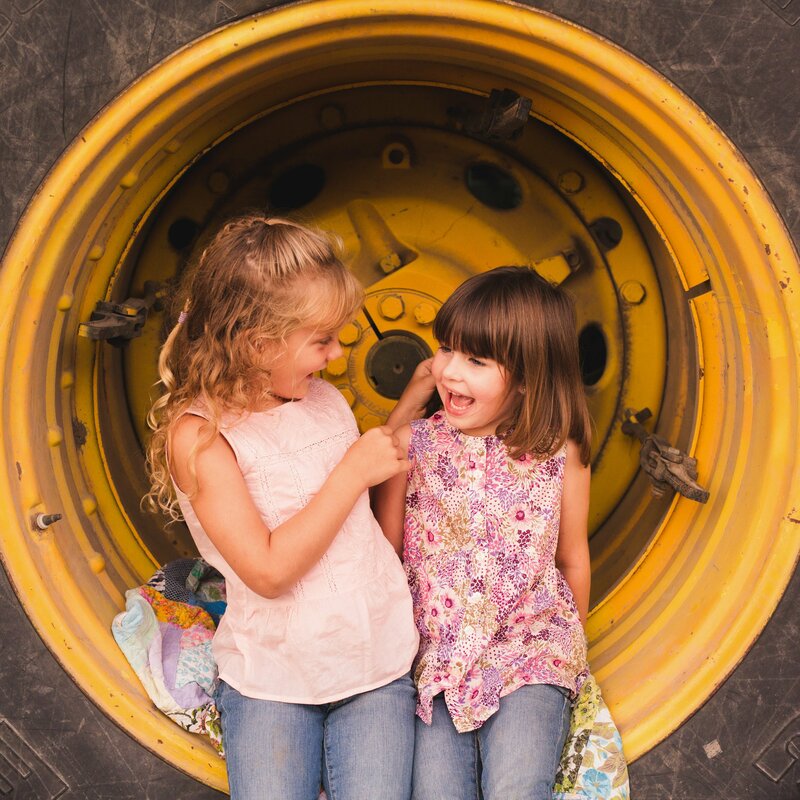 We believe in the importance of locally produced food and want our children to educate themselves on where & how the food they eat has been grown. We also want to play a part in a more holistic approach to farming locally and more naturally. We are excited to raise happy chickens in a more natural environment in order to provide our customers with the best meat possible. As a young family we also value all the moments we are able to spend together and wanted a farm business that would allow us to work together as often as possible and let us all play a part on our family farm. The girls have been counting the days until the chicks come to us. They will each have their own special role in raising our birds with compassion and care. We will be sure to share weekly photographs and stories on our blog. Thanks for coming along! Our mission is to raise the most nutritiously dense chicken, while giving them a higher quality of life and being as environmentally conscientious as we can. We look forward to giving our customers a delicious product they can feel good about preparing for their loved ones.